As part of its social responsibilities to sustainable initiatives, investing in the future of local communities and the environment, PZ Wilmar, maker of vegetable oil Brand, Mamador and Devon King’s cooking oil, has joined in the sponsorship of the 2017 edition of the annual Walk for Nature (WFN) event. The goal, according to the to the vegetable oil company is to demonstrate the importance of healthy living and the conservation of nature. The Walk for Nature event themed, “Cleaner Lagos which was jointly organised by the Lagos State Ministry of the Environment and the Nigerian Conservation Foundation (NCF) held recently, in Lagos. During the occasion, the foundation for sustainable ecotourism urged participants to imbibe and cultivate good environmental practices for nature conservation and sustainable environmental management. Acknowledging the support from partners such as PZ Wilmar, Commissioner for Environment Lagos State, Samuel Babatunde Adejare in a statement described the partnership as rewarding and hugely commendable. “To a large extent it behooves on us as a people and a nation to form a global partnership to care for the earth. Overcoming the environmental challenges now confronting us requires effective management of our environment through the concerted efforts of all and sundry in order to preserve nature and our natural resources” he said. PZ Wilmar was on ground to provide health check for participants, and education on healthy eating and living habits, courtesy of premium cooking oil brand, Mamador. Participants who arrived at the Marina ground, venue for the event were made to undergo free health checks; BMI, BP and heart healthy lifestyle tips. 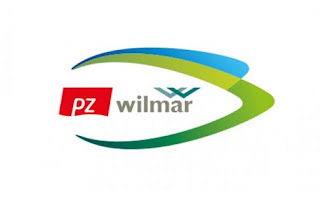 The event also provided PZ Wilmar the opportunity to further promote its Million Heart Mission campaign, powered by Mamador premium cooking oil, which aims at promoting heart health across the nation. The “Walk for Nature” is an annual programme of the Nigerian Conservation Foundation designed to create awareness among the people about Nature Conservation and Good Environmental Practices in Nigeria.